Karlstad University is a young institution with a student body of around 16 000 and a staff of 1 200. The University offers around 70 study programmes at undergraduate and Master’s levels and 900 courses in the fields of the humanities, social sciences, natural sciences, technology, education and nursing. 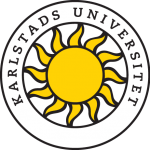 Research at Karlstad University is based on strong academic disciplines as well as multi-disciplinary research environments, where researchers from various fields collaborate on problems that are best solved with knowledge from many areas. To a great extent, research is pursued in conjunction with companies, organisations and public authorities. We are striving to develop mutually beneficial knowledge without compromising the integrity and independence of research. As a University we are part the national and international research community. Through our contacts with researchers at other universities in Sweden and abroad we contribute to generating new knowledge of humanity and the world. Several of our research areas enjoy a high international reputation. In order to further strengthen the quality of research at Karlstad University external experts have reviewed our research environments. The result was two research groups of excellence: Service Research Center, CTF and Computer Science, CS, and three strong research groups: Interact (molecular interaction), Culture Studies, KUFO, and Characterization and Modeling of Material, CMM. The first study to examine prenatal exposure to the phthalate DiNP finds it is associated with a shorter anogenital distance (AGD) in Swedish boys at the age of 21 months. These findings raise concern since animal research has linked DiNP exposure to a shorter AGD, and studies on humans have related shorter AGD to male genital birth defects as well as impaired reproductive function in adult males, and the levels of DiNP metabolites in humans are increasing globally. Children who had PVC floorings in the bedroom at baseline were more likely to develop asthma during the following 10 years period when compared with children living without such flooring material. Furthermore, there were indications that PVC flooring in the parents’ bedrooms were stronger associated with the new cases of asthma when compared with child’s bedroom. This could be an indication that prenatal exposure is of importance. Half of all the produced food in the world is thrown away. According to a new study from Karlstad researcher Helen Williams and her Australian colleagues, smart packaging can be one important part of the solution to reduce food waste. A new study at Karlstad University in Sweden shows that phthalates from PVC flooring materials is taken up by our bodies. Phthalates are substances suspected to cause asthma and allergies, as well as other chronic diseases in children. The study shows that children can ingest these softening agents with food but also by breathing and through the skin. Corruption is a widespread problem in public administration in many developing countries. Gudrun Wicander from Karlstad University in Sweden shows how text messaging can be used to counteract corruption and how the mobile phone can be a tool for more efficient administration and resource distribution in the education sector. This year’s honorary doctors at Karlstad University have now been named. Author Knut Warmland, Professor Martin McKee, Professor Jiri Basta and Professor Harriet Bradley have all contributed significantly to the university and will receive their awards at the annual Academic Celebration on 17 September 2010. Karlstads universitet blir ny officiell hemvist för den internationella vetenskapliga tidskriften Cooperation and Conflict. Redaktörer är Lee Miles, professor i statsvetenskap Karlstads universitet, och Jan Ångström, Försvarshögskolan, Stockholm. Playing sports in a club is of no major importance in the psychological and social development of children and adolescents. This is shown by Stefan Wagnsson in a recently published dissertation at Karlstad University in Sweden. It is difficult and expensive to create wireless networks in sparsely populated areas or to cover a whole city, for example. Each wireless connection point requires, notwithstanding the name, a cable with a connection to the Internet. But these problems are now being solved by Andreas Kassler, professor of computer science at Karlstad University in Sweden, and his research team. Long-term leaves of absence tied to stress-related diagnoses are often preceded by a long period without any secure and comforting social relations. This is shown in a recently published study in public health science at Karlstad University in Sweden.